More analysts cut BlackBerry expectations | BlackBerry Blast! BlackBerry just can't catch a break these days. Canaccord Genuity analyst T. Michael Walkley was the first analyst to slash Q1 BB10 sales estimates from 1.75 million units to 300,000. Now other analysts are jumping on the bandwagon. Pacific Crest analyst James Faucette is even more bearish than Walkley. 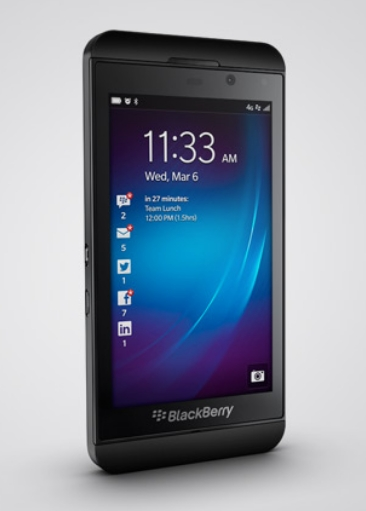 He believes BlackBerry could sell as little as 275,000 Z10s during the first quarter. He thinks the market got out ahead of itself and BBRY will pull back. "We believe the Street has gotten ahead of the potential reality for BB10 shipments," wrote Faucette. "There is no line of sight to profitability; we remain sellers of BBRY." Faucette believes BlackBerry will have to triple or quadruple its device shipments in order to sustain profitability. "We continue to believe the Z10 launch involves relatively small shipment volumes and only moderate sell-through so far in markets which have historically been some of BlackBerry's strongest," continued Faucette. "As a result, investor optimism that the BB10 could reverse the company's trajectory appears to be well overdone at current levels, in our view." Analyst Brian Bear is also bearish on BlackBerry saying, "We are getting indications that U.S. carriers are not optimistic about Z10 sell-through, but are instead more hopeful about the keyboard-based Q10," he wrote." It's an uphill road for BlackBerry, but let's give them some time and she how they do.